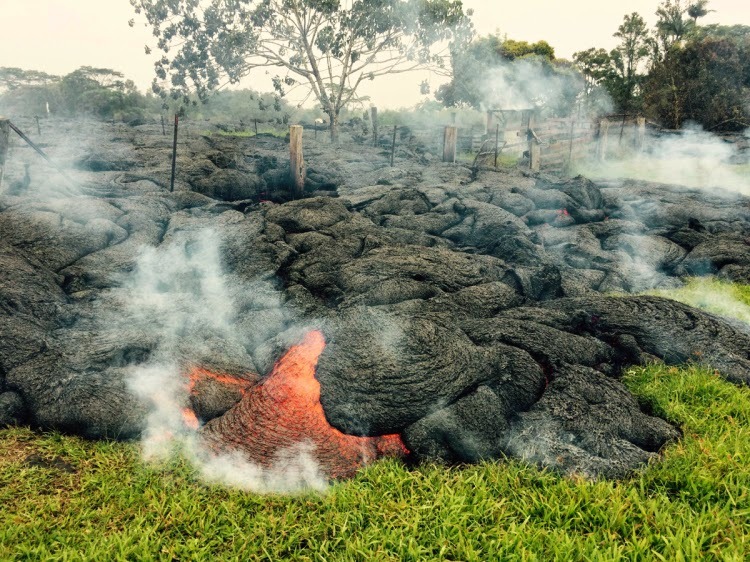 Stay at Hale Moana Bed & Breakfast and experience the Pahoa lava flow first hand: Hale Moana Bed & Breakfast is 7 miles away from the lava flow and Pahoa. The areas in and around Pahoa and Hale Moana Bed & Breakfast are safe for residents and visitors alike. 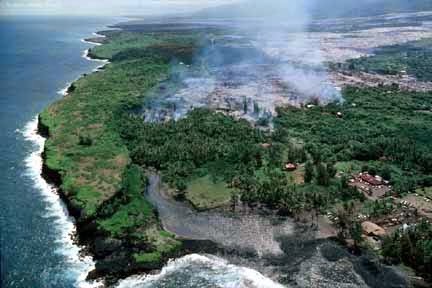 There is no danger of lava inundation here at the Bed & Breakfast and currently there are no air quality issues. Coming to Pahoa and the Puna area is completely safe. 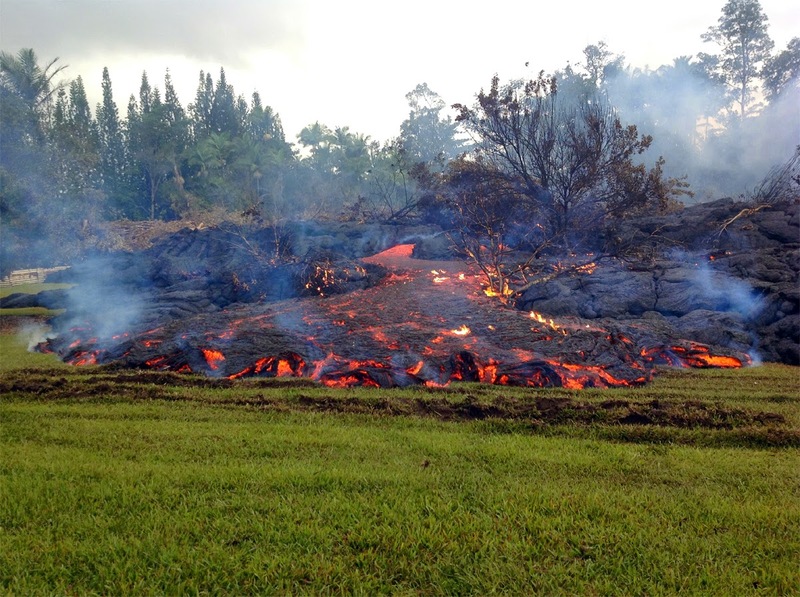 The lava flow has stalled and break-outs are in the up-slope areas about 5 miles from the town center. All roads are open and even the 300 yard stretch within Pahoa town opened today at noon, right in time for the holidays. All businesses, including restaurants and stores are open and doing business as usual. There will be a lava viewing area. 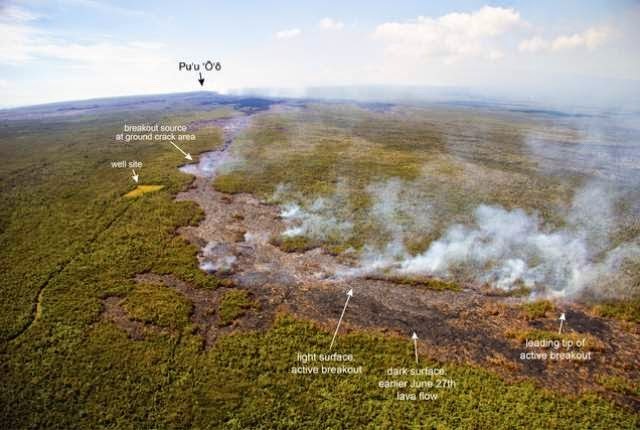 There is currently no access to "hot" lava in the Pahoa area, accept through helicopter flights over the Pu'u O'o area and down-slope toward Pahoa. 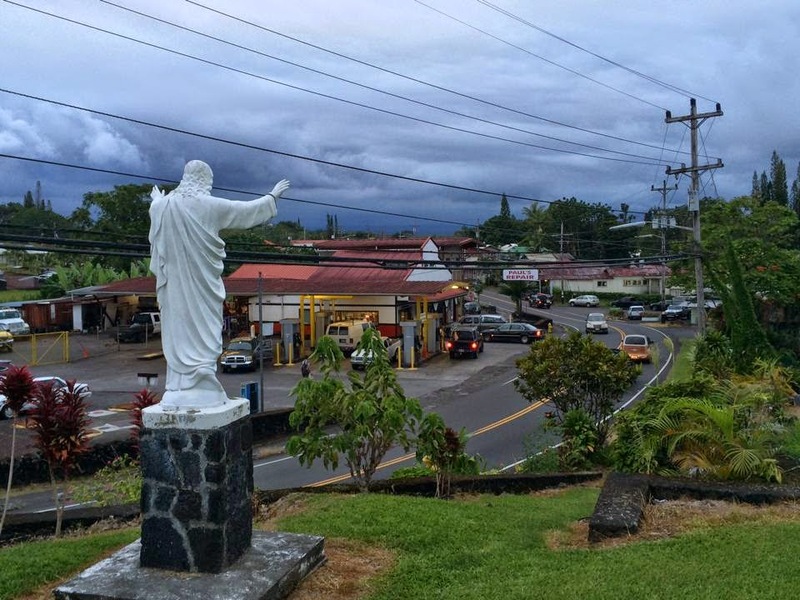 The county will open the Pahoa Transfer Station as a public viewing area. At this site visitors will be able to see how close the flow came to this Recycling Center and how long lava is still warm to the touch. The location of “hot” breakouts changes daily and this is also why it is difficult to establish a lava viewing area close to these breakouts. 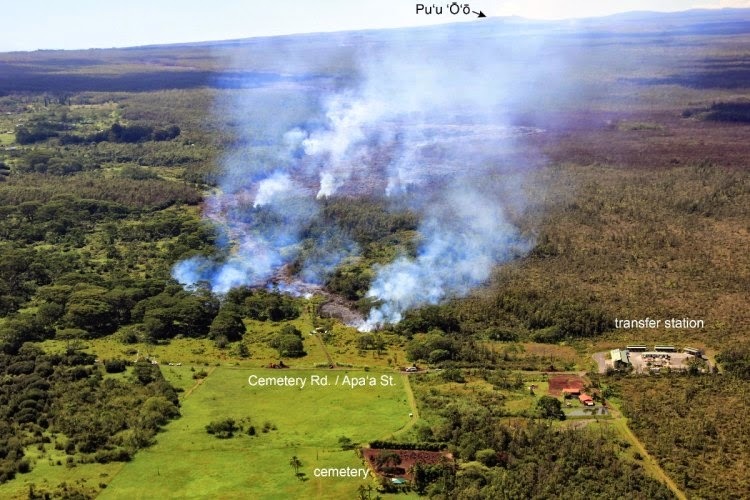 As soon as the lava is flowing into the ocean or is continuously visible in a specific area, the county will surely open a safe public viewing area that can then be accessed by many people. 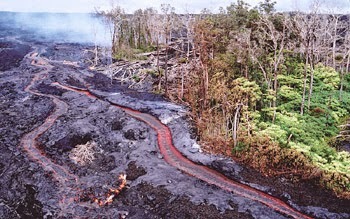 The Pahoa lava flow adds to the unique experience and charm of this area. It presents a historic event and visitors can be part of this. 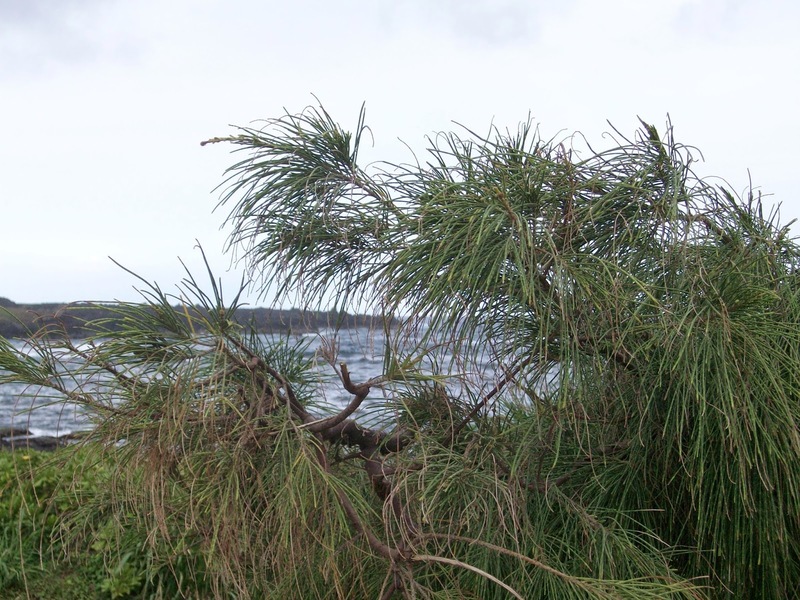 It is quite amazing to see, how Pahoa despite the looming threat is alive and kicking. Restaurants, stores, the farmers market, banks, gas stations, emergency services and other business activities are open and doing business as usual. The way the community deals with this imminent situation is an experience of resilience and hope, - something we can all learn from and an important message for all of us to take home. 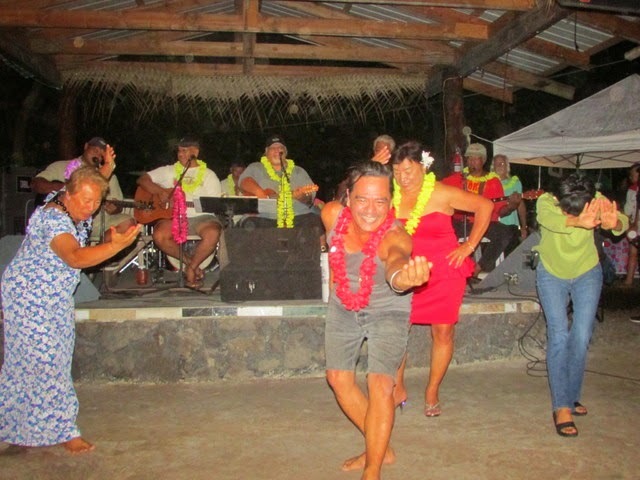 The Puna area is the perfect place to also experience the intensity and prominence of Hawaiian culture and its Aloha Spirit – it is real and authentic. 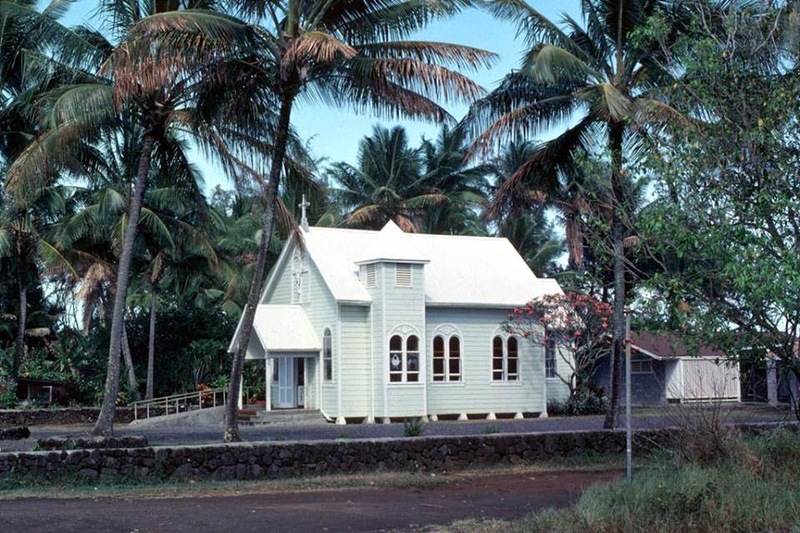 The beauty and charm of this area, including the Red Road/Hwy 137, Kalapana, historic landmarks, parks (Ahalanui, Isaac Hale, MacKenzie, Lava Tree), Kapoho Tidepools and old lava flows are unchanged and unaffected by the current flow. Instead it adds to the uniqueness…Connecting Chain-of-Crater Road with Hwy 130 will present a great benefit to the visitors to this area. This project is in process, but will happen in time. 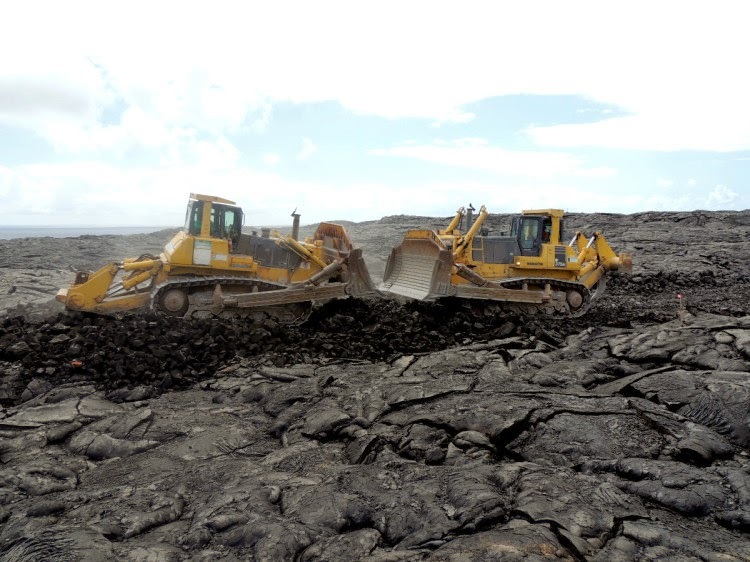 It will provide easy access for the visitors into the Hawaii Volcanoes National Park from the Puna/Pahoa area. 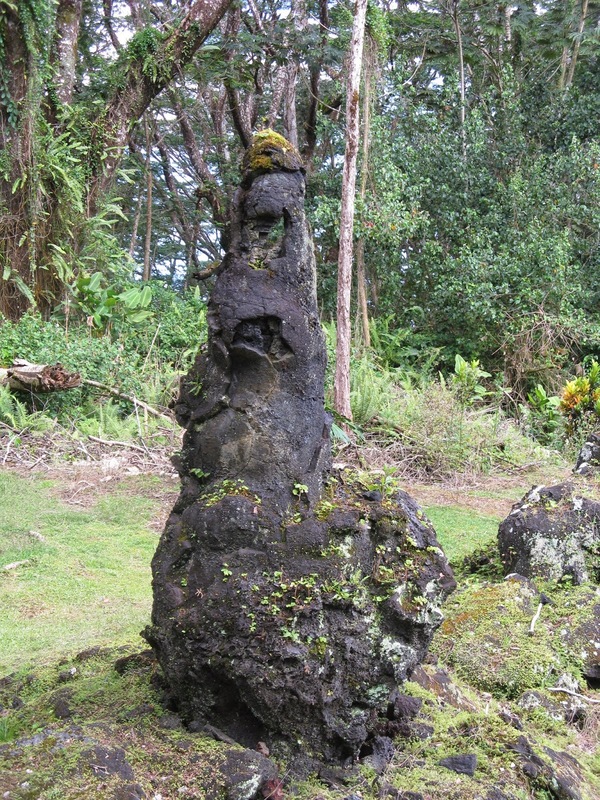 Stay at Hale Moana Bed & Breakfast and experience the Pahoa lava flow first hand: Hale Moana Bed & Breakfast is 7 miles away from the lava flow and Pahoa. 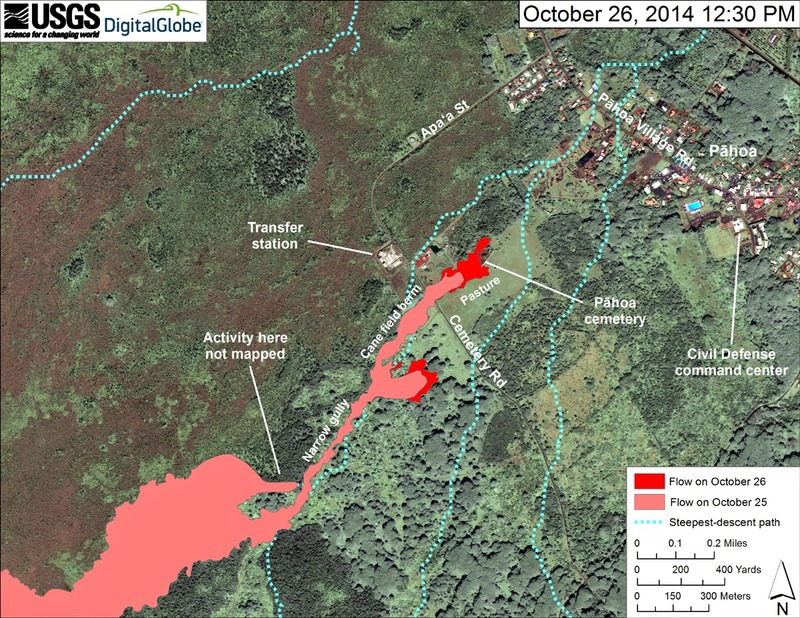 Hawaiian lava flows are slow and the current flow is momentarily stalled. Its flow front is only 100 yards wide. The areas in and around Pahoa and Hale Moana Bed & Breakfast are safe for residents and visitors alike. 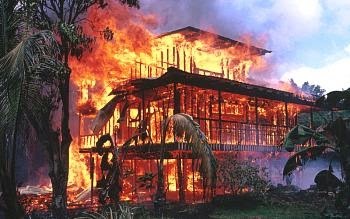 There is no danger of lava inundation here at the Bed & Breakfast and currently there are no air quality issues. 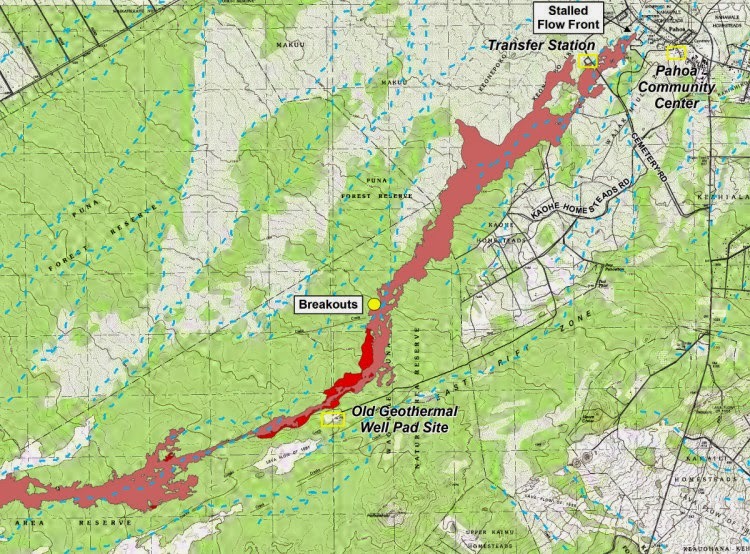 To prepare for the possibility of Highway 130 and other alternate routes being crossed by lava, the Hawaii County has been working on connecting the eight-mile stretch between the end of Highway 130 in Kalapana and the end of the Chain-of-Crater Road from the Hawaii Volcanoes National Park. 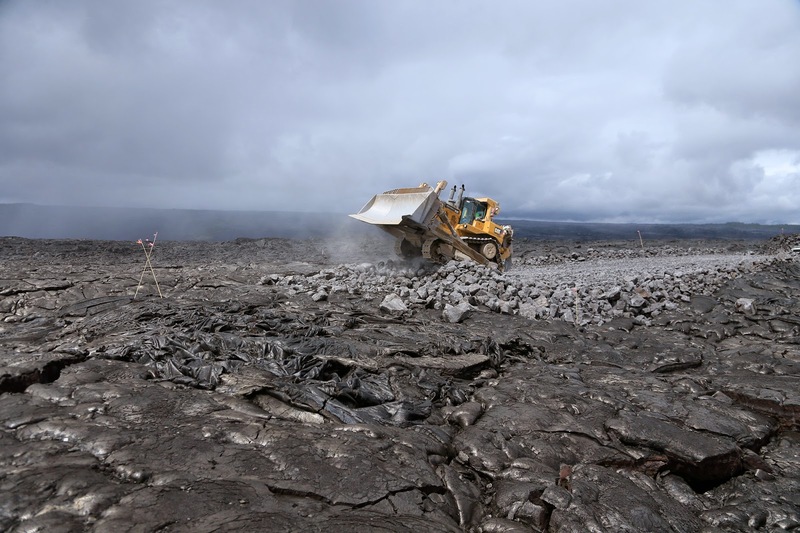 The joining of the two sides of Chain of Craters Road was a milestone event and was covered from the air and the ground. 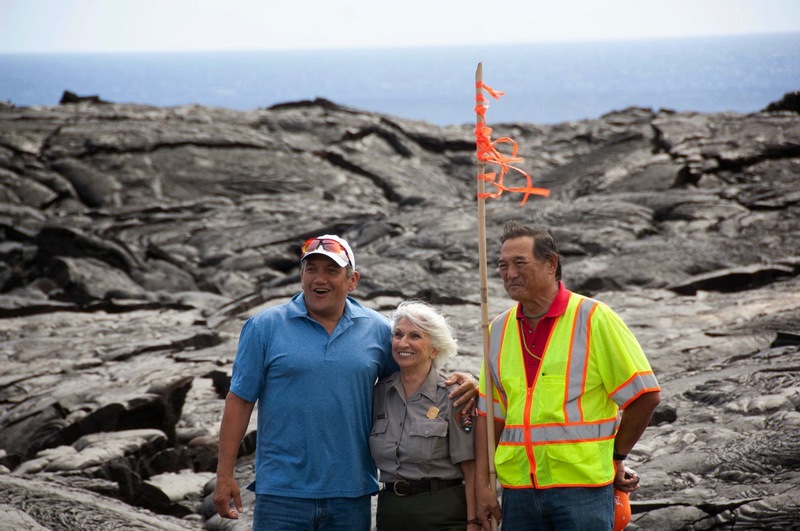 Photos released by the National Park show Mayor Billy Kenoi, County Public Works Director Warren Lee, and Hawaii Volcanoes National Park superintendent Cindy Orlando arm-in-arm in celebration. But concerns loom over access. 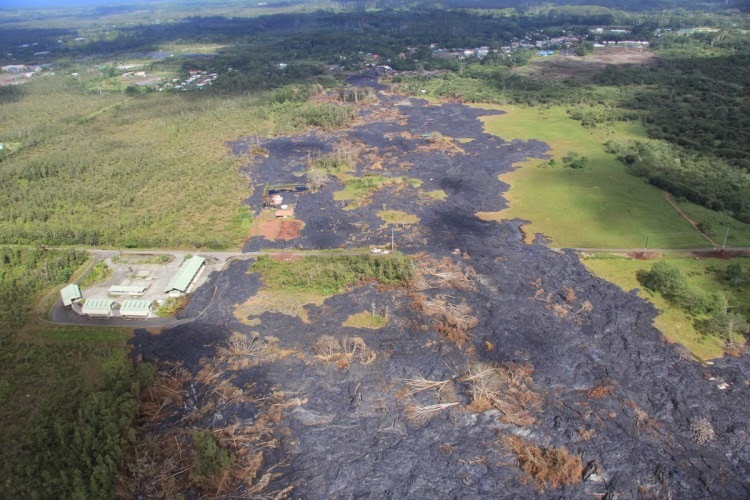 As recently as a few days ago, Hawaii County Civil Defense administrator Darryl Oliveira said the county was still trying to work out the details on who could use Chain of Craters and how it would be managed. The following link will give you great pictures of the construction of the road and discussion of how access will be provided and who will be able to access the road: Our visitors will be able to come through the park to us and stay here at the B&B. 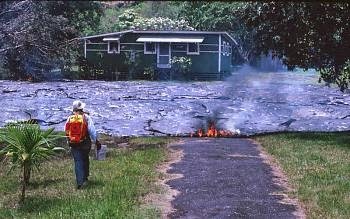 Stay at Hale Moana Bed & Breakfast and experience the Pahoa lava flow first hand: Hale Moana Bed & Breakfast is 7 miles away from the lava flow and Pahoa, in a safe area. There is no danger of lava inundation here and currently no air quality issues. Size of the Flow: This current flow is 80 yards wide at the flow front. 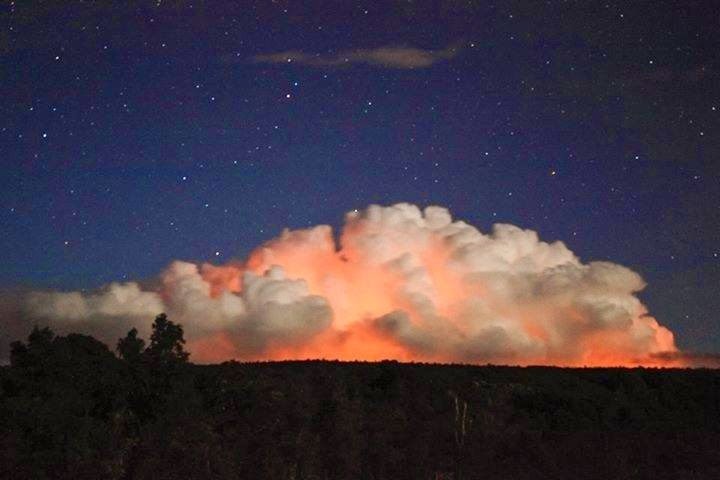 Lava Glow visible: Even though public access is not available at this time, because the flow is going through residential areas, it is possible to watch the lava glow from Pahoa Village Road. 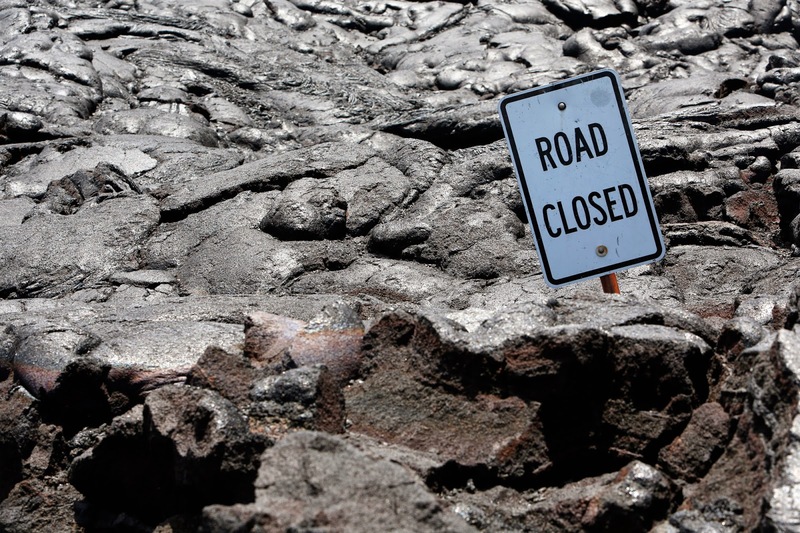 Access to Pahoa and the B&B: Alternate routes provide safe and adequate access in case the main highway is crossed by lava. Pahoa Infrastructure and Life: Even though the lava flow is moving forward and going to split the town in half, residents are resilient and life continues in this little town that is also called the "Heart of Puna" : Restaurants are open, banks and post office are doing business as usual, stores are serving customers, no interruption of utilities gas stations are pumping gas! This is for the many people, who are connected to us and who are hearing about the lava flow on the news and through the internet. This message is for all of you, who are not here on the ground able to assess the developments first hand: The children and I and the B&B are fine and safe! 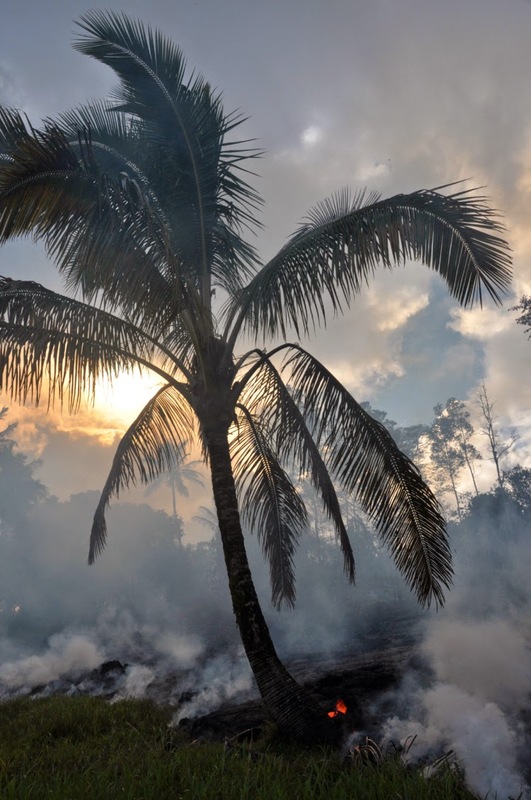 The lava has progressed closely to the outskirts of Pahoa. Smoke is clearly visible from our town and the front of the flow is about 600 yards or so away from the center of town. Early this morning lava glow was visible through the trees behind Pahoa. 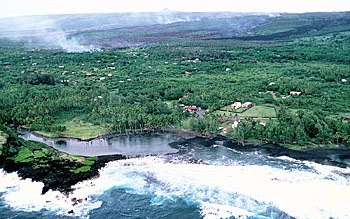 Our house/B&B is in Leilani Estates, approximately 7 miles to the south of Pahoa. This area is in no danger of lava inundation. We are completely safe here and we continue to welcome visitors from around the world. 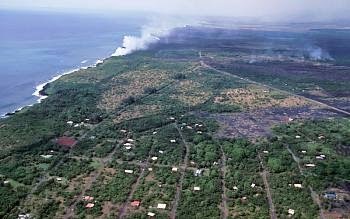 Once the flow crosses the village road and the highway, we will be a very good location to look at and explore the lava flow. The County has built alternate routes and traffic is directed safely along these detours. I am deeply saddened by the events and I have great compassion for all of our friends and members of the community that are directly affected by the lava. All of us here are going through the emotional process of losing part of the things we love so much. There is inevitability and powerlessness while we are helplessly watching this slow progression. Like many times in life, we have to learn to accept the circumstances around us. It is our courage that will help us to find solutions, overcome adversity and to open new doors. The community here is coming together in a big big way. We have exceptional leadership in our Mayor, the head of Civil Defense, the County Department directors and all of their crews, the utility partners, private contractors, agencies, and all the community members working together. People are working around the clock to make sure everybody is well informed, safe and access to services and basic needs is uninterrupted. 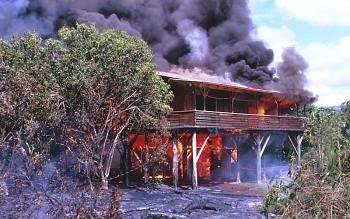 I am asking you to keep us in your thoughts, to stay in touch, to support us through these tough times and to continue to visit Hale Moana Bed & Breakfast and this beautiful area on the Big Island of Hawaii. Please, share this with your friends on FB or by e-mail. I am here for you, if you have any questions. 808-965-7015 or info@bnb-aloha.com or www.bnb-aloha.com. This road will connect the end of Hwy 130 to the end of Chain of Crater Road in the Hawaii Volcanoes National Park. 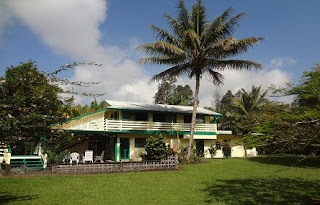 Hale Moana Bed & Breakfast will then be only about 15 minutes from this world renowned park. 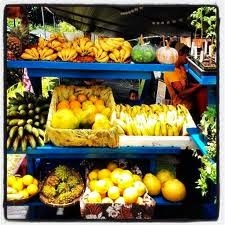 Judging from the size of the crowd, Uncle Robert’s Farmers Market is the worst kept secret in lower Puna. 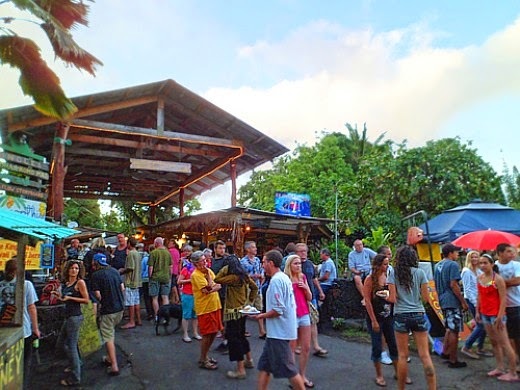 Held every Wednesday night from 5-9 p.m. at Uncle Robert’s in Kaimū, Kalapana, it’s the only nighttime farmers market on the island. It’s also one of the busiest. 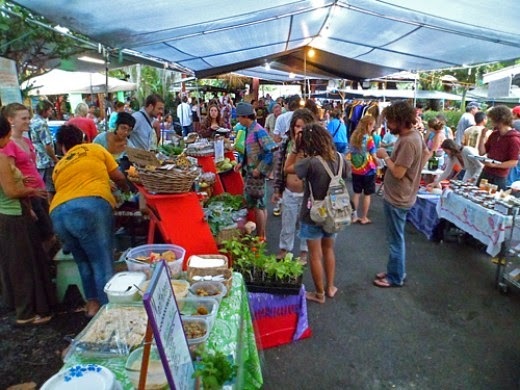 With vendors offering locally grown produce, baked goods, hand made jewelry, freshly cooked food, and live music, it feels more like a festival than a market. “I don’t call it a farmers market, I call it a social market,” says Ikaika Marzo, one of Uncle Robert’s hānai grandchildren, as he looks across the crowd. Long, communal picnic tables in the dining pavilion are filled with people listening to the Kalapana Awa band perform and enjoying food from one of the many vendors at the market. A little girl is on the dance floor trying to dance hula to the music. when Uncle Robert’s son Sam decided to establish the market. The market is truly a family affair and many of Uncle Robert’s extended family can be found working either behind a booth counter, directing traffic and parking, or up on stage performing. “The majority of people that come down here have jobs, so we decided to have the market at night,” adds Marzo. income, or just make an income. Vendor Dave Cardall says he’s a house painter by profession but work has been hard to come by with the recession, so he started a second career creating custom jewelry. The market gives him an opportunity to showcase his wares. “I’m reinventing myself,” he says with a smile. 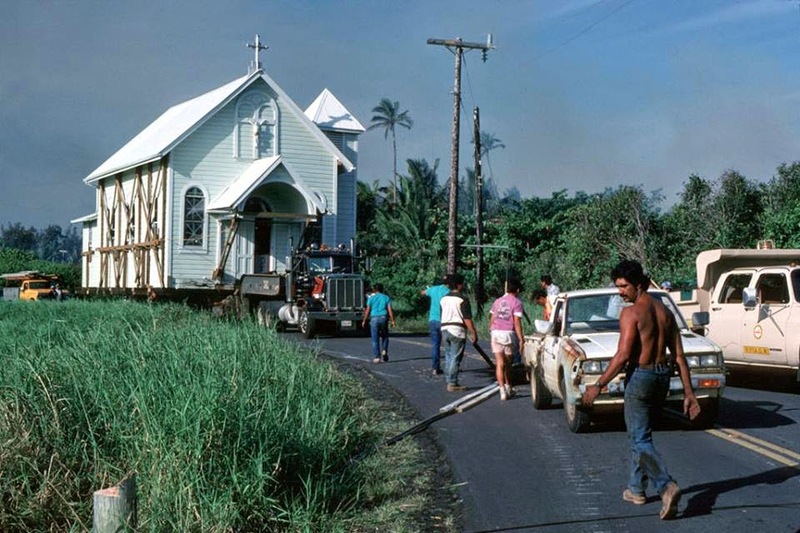 Hawaiian sovereignty movement, something dear to Uncle Robert Keli‘iho‘omalu’s heart and soul. 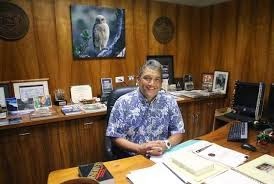 “Everything about Uncle Robert is about sovereignty,” says Garry Hoffeld, the island-wide organizer for Moku o Keawe Reinstated Lawful Hawaiian Government. For visitors and recently arrived residents, the displays are their first, and sometimes only, exposure to these historical and political issues. 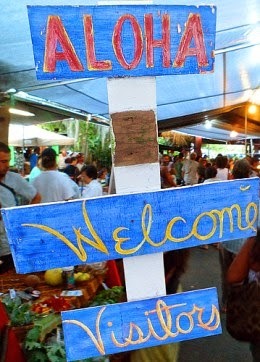 The market is also reflective of Uncle Robert’s strong spirit of aloha, attracting residents and visitors alike. “You see a lot of local people and a lot of visitors,” says Lisa Bowring of Aloha Exotics, who sells chocolate-covered chili peppers and strawberries. “It’s a very festive atmosphere.” “It’s a mini ho’olaule‘a (festival) every Wednesday,” says Kea‘au resident Tracey Kauahi.